AMS. 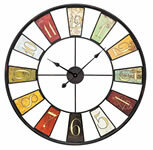 wall clocks are a synonym for esthetics and quality. 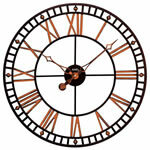 Precise and reliable movements, the finest selection of high-quality materials and a design carefully planned in detail make these precious Black Forest clocks a class of their own. THE TREND DESIGN: Design comes to life with innovative ideas that make headlines and really present something new. 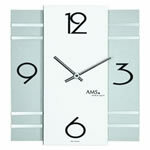 It is therefore with a purpose that the AMS designs use and experiment with new shapes and materials. 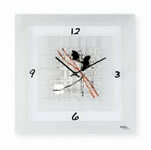 The demand to individually design and decorate ones living environment is, thus, given new impulses. No matter whether aluminum, glass, acrylic, steel or brass are processed for a variety of surface structures, any AMS contemporary design uses wood as the basic material and thus builds a bridge to tradition and to other decorative elements in your home. With AMS you may find your very personal accent in contemporary esthetics. 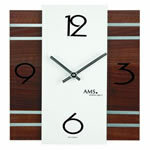 Clocks NZ Ltd import a selection of the AMS range.